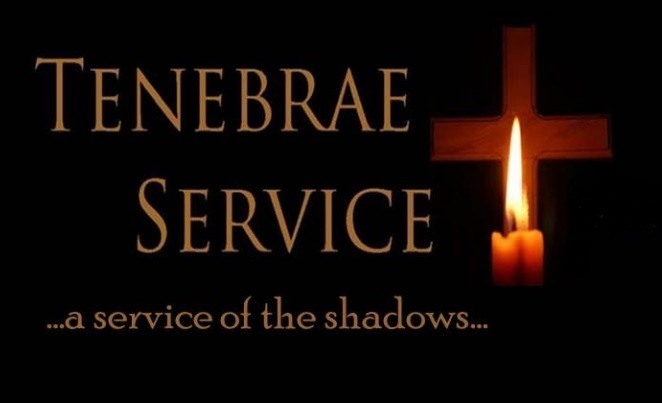 The word “tenebrae” is Latin meaning ‘shadows’ or ‘darkness.’ The Tenebrae service is an ancient tradition in Christian history taking place during Holy Week. The purpose of the service is to remember the somber events that occurred in Jesus’ during that last week culminating with Jesus’ burial on Good Friday. A distinctive aspect of the service is the use of several lit candles. The flames of these candles are extinguished one by one as Scripture readings are shared from the last days of Jesus’ life. This increasing darkness symbolizes the approaching darkness of Jesus’ death and of hopelessness in the world without God. Join us on Good Friday at 7 pm as we worship together through song, Scripture readings and communion to tell the story of the last days of Jesus life.